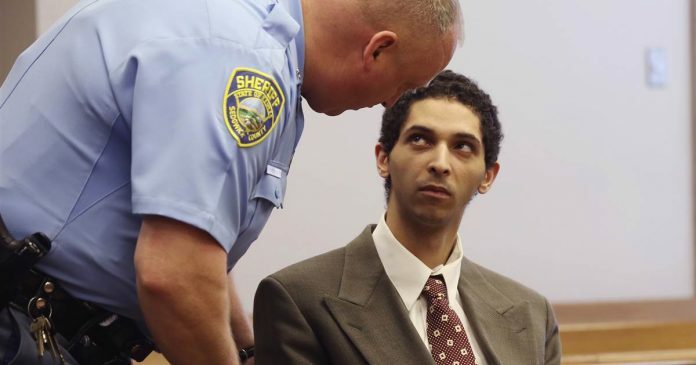 A California man who was arrested shortly after a deadly swatting incident has been sentenced to 20 years in jail. The long sentence comes after the emergency hoax calls he made, including one that led to a man getting shot and killed by authorities. Tyler Barriss was arrested after making a hoax call saying that he had taken a family hostage. The call ended up sending authorities to a home in Kansas, where they shot Andrew Finch after he opened the door and appeared to move his hands towards his waist. The investigation found that Barriss had made a call from California. The call came over a gaming dispute between two Call of Duty players. The players were participating in a tournament website where gamers can wage a few dollars. Reports say during the match, the two players began arguing and one of them threatened to swat the other. The term swatting is used in gaming when someone sends authorities to another gamer or streamer. In recent years, there have been several incidents in which people have swatted famous streamers and celebrities. The dispute led to the swatting threat and the player involved in the dispute responded with a fake address. That address was later given to Mr. Barriss, who knew how to make the hoax emergency call. Mr. Finch was shot and killed by police but it has been confirmed that he was not involved in the dispute. His family has even said that he was not an online gamer. The incident was one of the first times in which someone has been shot and killed following a hoax emergency call. Mr. Barriss was arrested in California and extradited to Kansas a few weeks later. Reports later revealed that Mr. Barriss had a history of making these calls. Reports said he was behind hoax emergency calls to a news station and a gaming event. A man who claimed to be Mr. Barriss was interviewed by the DramaAlert YouTube channel shortly after the incident in Kansas. During the interview, the person confirms their involvement but says that it is his personal belief that he didn’t cause someone to die. The person goes on to mention that the call was made by him but that the incident could be pointed at the cop who shot him, the guy who made the call or the person that came up with the address. The incident led to Kansas lawmakers debating a bill known as the Andrew Finch Act. Governor Jeff Colyer said at the time that they need to send a clear message that this behavior is not acceptable in their society. Under the bill, anyone who makes these types of calls that result in the death or injury will face a level one felony, which can bring a sentence of between 10 and 41 years. The gamers involved in the dispute are awaiting their own trials in connection with the incident and the death of Andrew Finch.